Web hosting companies strive to become the best provider for anyone that is interested in starting a website. Whether it's a new blog, company page, or e-commerce store. Finding the perfect host can make a huge difference. This top web hosting company list will help you find the best savings. If you want a website, you are going to need some type of web hosting. When dealing with a web hosting company are you leasing a portion of their web server. This gives you an area to upload your files and give other access to them through a domain name. As different providers have different pricing, features, and types of servers. This will all depend on the size and traffic of your website. Starting a site, choose a unlimited shared hosting plan. 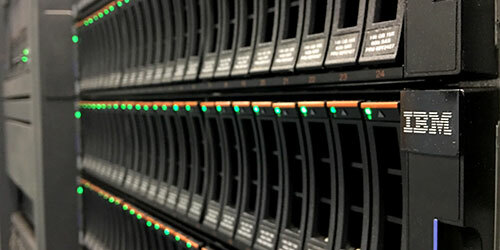 Growing website and want more flexibility, choose a VPS server. High traffic and heavy processes, get a dedicated server. Web hosting companies administer their servers with extensive software. This monitors security, application updates, and load balances. This is to make their customers get the best load time possible. Having someone else monitor your server is one less thing you need to worry about when running your business. You should be focusing on your selling, marketing, and operations to your growing website. There is a clear cut answer because everyone's website is different. Think of your budget and work from there. Find something that fits and see the pros and cons of the features they are offering. Make sure you read hosting reviews for each company before making a decision. My suggestion for finding the perfect host is to pay attention to their support hours and availability. There is nothing worse than when your website goes down and you can't fix it. Having a support team ready when you need them can go a long way.